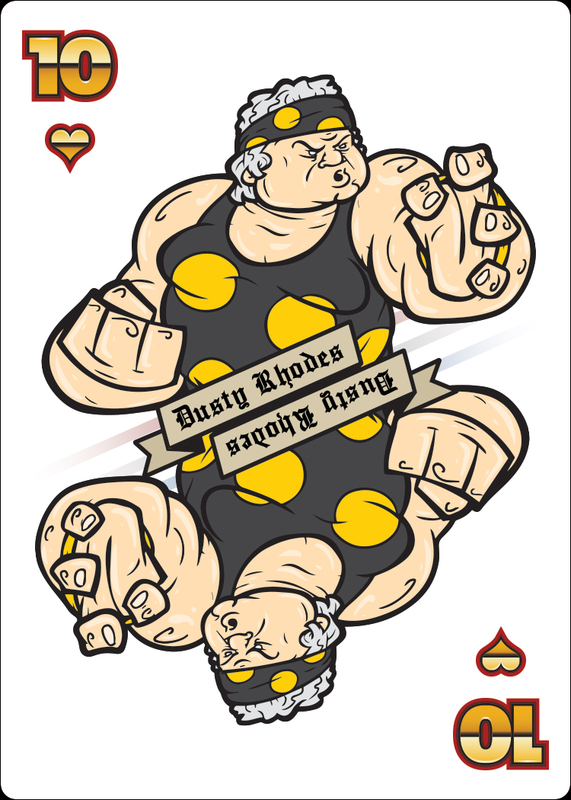 Home › Pro Wrestling › WWF Playing Cards are Slamtastic! SIX AM Comics’ resident mastermind Mark Marianelli is a wrestling fan. The WWF flavor of the 80’s and 90’s is what tickles his fancy. 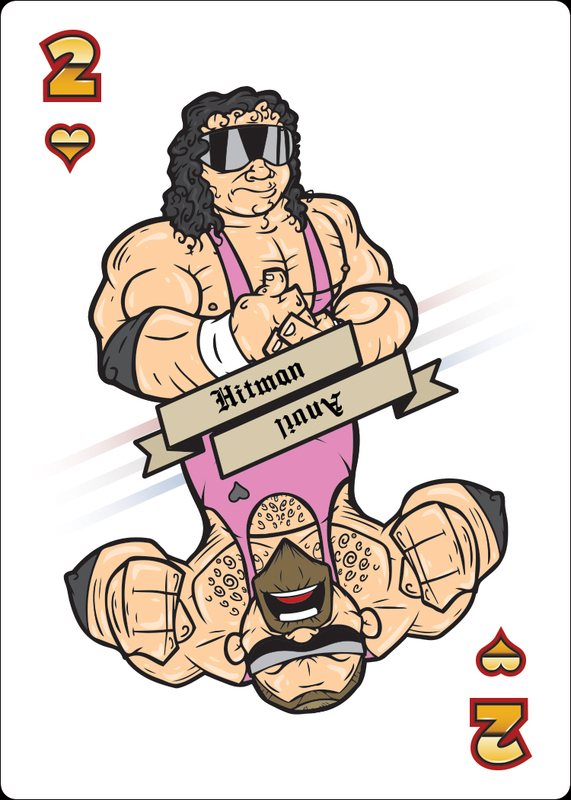 Marianelli has crafted an incredibly unique love letter to these larger than life characters along with their wide assortment of gimmicks in the form of playing cards. Whether you want two of a kind with Demolition or a royal flush with the Macho King, Marianelli has created the playing card you. The Hart Foundation are suitably suited with hearts while the “Million Dollar Man” Ted DiBiase and Virgil are paired with diamonds. 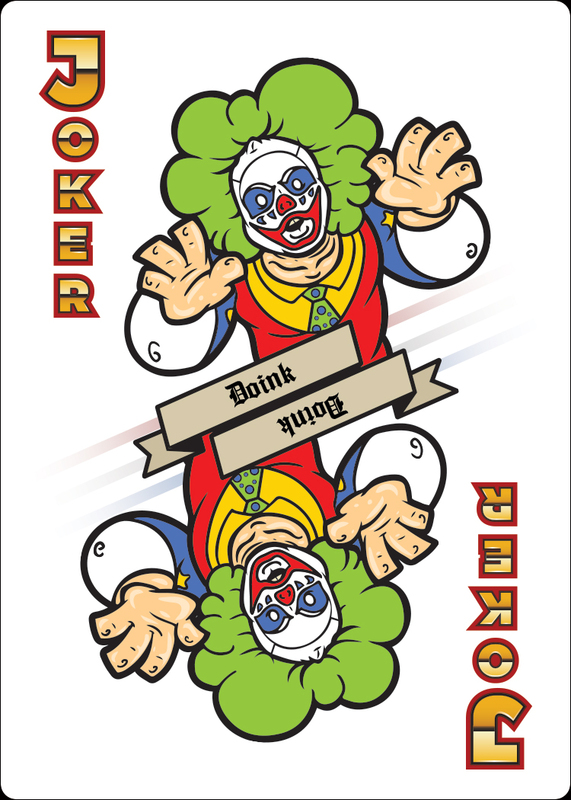 Now you can call a spade of spade with the no-nonsense style of Greg “The Hammer” Valentine, and you can go joker’s wild with Doink the Clown. 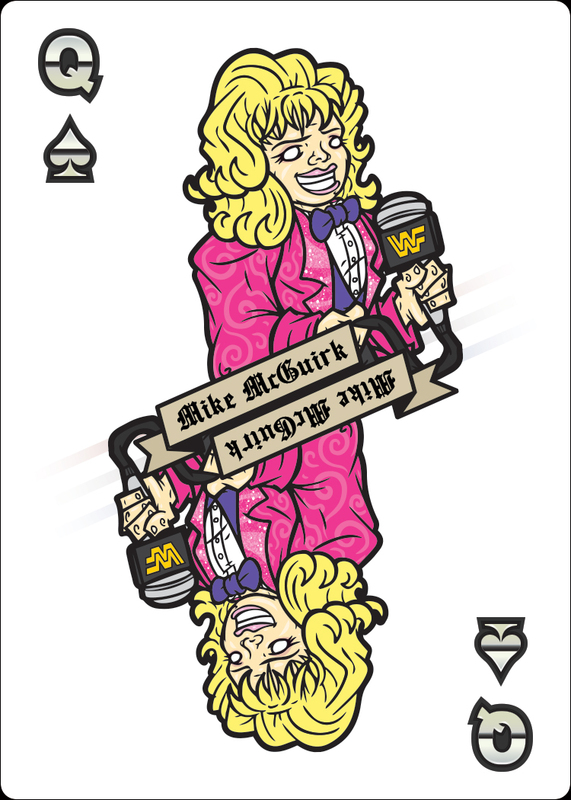 There is even a playing card of ring announcer Mike McGuuirk, which blows my mind. WWF never made anything in the likeness of McGuuirk. Jack Tunney and Sean Mooney were high enough on the pecking order at least get a trading card. However, Vince McMahon always forgot about poor Mike. You know who didn’t forget about her? Mark Marianelli. If you’re someone who shakes their fist at the current product of black tights and bad attitudes, head over to SIX AM Comics. Junkyard Dog, Yokozuna, or a polka-dot clad Dusty Rhodes, it doesn’t matter. It’s easy to marvel over these colorful and highly stylized WWF playing cards.